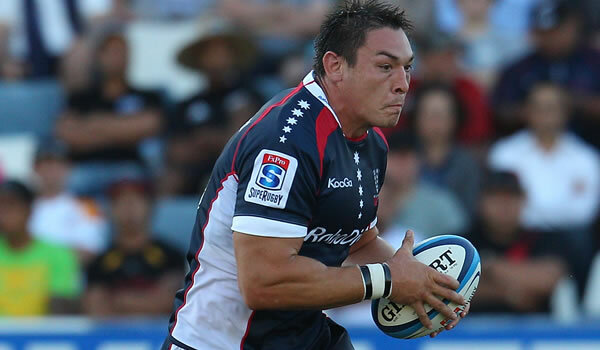 Welsh Rugby region the Ospreys have announced that they have signed former Gloucester and Melbourne Rebels captain Gareth Delve. The experienced back rower, capped 10 times by Wales, has signed a two- year deal with the region and will report for duty at the Ospreys’ Llandarcy training base for pre-season ahead of the 2015/16 campaign. Born in Cardiff, 32-year old Delve has spent his entire professional career with clubs outside of Wales, playing Aviva Premiership rugby in England and becoming the first Welshman ever to play in Super Rugby, as well as spending 15 months in Japan. A powerful ball carrier renowned for his leadership abilities, Delve will provide increased depth in a key position, particularly with as many as five back rowers set to feature in the Rugby World Cup next season. “I’m really excited about this move” said Delve. “It’s a great opportunity for me to play with a quality team that I believe is going places, while I’ll be playing in Wales for the first time as a pro. I’ve been really impressed by Steve Tandy and Andy Lloyd when we’ve met and I’m looking forward to helping them to achieve the vision that the Ospreys have. Having grown up in Cardiff, a scholarship at Colston’s Collegiate School in Bristol took him across the Severn Bridge, where he eventually signed his first professional contract with Bath in 2001. 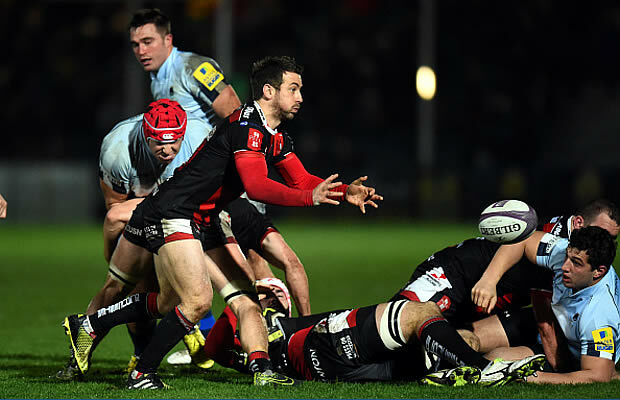 He spent six years at the Rec before switching to local rivals Gloucester, regularly captaining the side in his three seasons in cherry and white. He broke new ground when he signed for the newly formed Melbourne Rebels ahead of their inaugural 2011 campaign, becoming the first ever overseas player to captain an Australian Super Rugby side. Having been an influential figure in the Rebels’ first three seasons, he left Australia at the end of 2013 to sign for NEC Green Rockets in Japan. Delve’s senior international debut came against Scotland during the 2006 Six Nations. He featured as a replacement three times during the 2008 Grand Slam success and although his final cap came in 2010, he last wore the red jersey two years later in an uncapped game against Brumbies in Wales’ tour of Australia. “I’m lucky to have played in some great places and I’ve travelled the world, but this opportunity to play in Wales with an ambitious, quality team, in front of my family, was too good to say no to. “Gareth will add a huge amount of experience to what is a young squad. He’s played in a lot of different environments, experienced different cultures, and his leadership abilities are unquestionable having captained sides throughout his career. “With people like Gareth, Paul James and Brendon Leonard added to the squad for next season, there will be a spine of leaders and experience running through the squad, which will be crucial to allow us to compete on all fronts. “That depth has been missing in recent years, but the hard work done by everybody at the Ospreys in recent years to turn the business around off the field is now having a positive impact on it, allowing us to look to recruit where necessary, adding individuals with the right characteristics for our environment. “We’ve spoken to a lot of people who have worked with him at his various clubs or come up against him, and what shines through is that he will offer us a huge amount off the field in terms of leadership and the growth of younger boys. Players like Jordan Collier, Olly Cracknell, Lloyd Evans, Rhodri Hughes and Rory Thornton will learn a lot from him, helping them to come through to really challenge the senior players over the coming season or two. “As much as he’s here to help to develop others though, his primary role will be to compete for the shirt as much as anyone else. He was quite clear about that desire when we met, and we were quite clear that’s what we wanted from him. We could be missing as much as five international back row players at World Cup time, so to be able to call on someone of his undoubted quality, will be a real boost.